Note: If a child is entering a Makers class for the first time, a one-time purchase of a glockenspiel instrument for an additional $40 is required. This glockenspiel (brought to class each week) will be used in subsequent semesters and is therefore not built into the advertised price. Registering in this level will automatically add the glockenspiel to your cart; please remove it prior to check out if you already have a glockenspiel from a previous semester! Description: Your child is now ready for the first of this sequential two-year music program, ideally designed to begin in summer or fall. Music Makers: At Home includes singing, creative and structured movement, playing instruments and ensemble work, ear training and guided listening, as well as a developmentally sound approach to music literacy that builds symbolic thinking, concentration, memory, and self-expression. During this first year, children will have the opportunity to play their first melodic instrument, the glockenspiel. 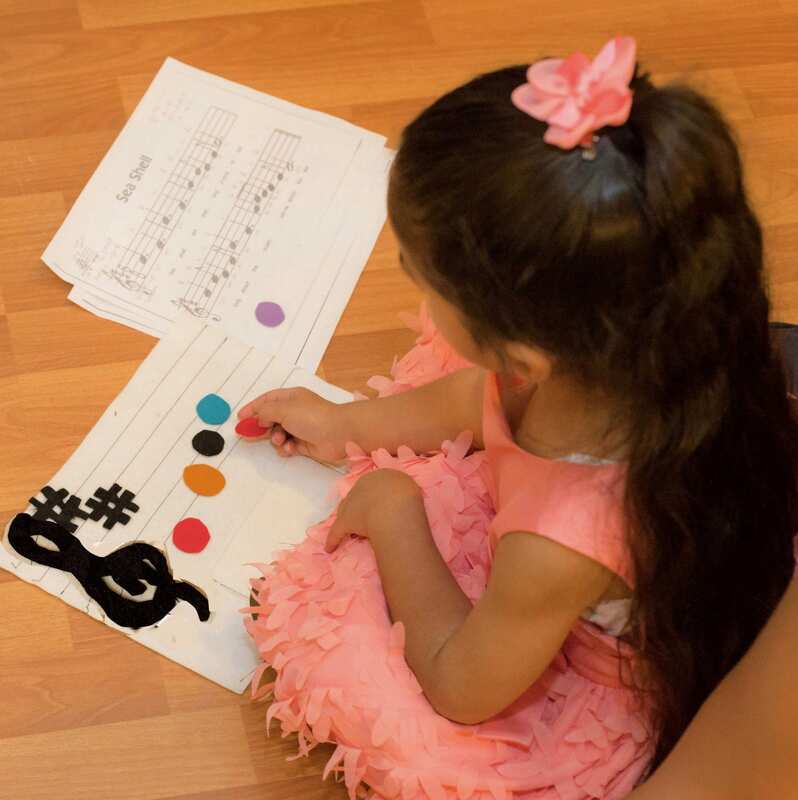 They will also begin to read and write simple musical patterns and recognize them in songs while exploring the theme of home environments. The parent or caregiver still plays an active role in the class, as well as supports the child at home to practice the material presented each week.